Oliver Cromwell – a name that still divides opinions more than three hundred years after his death. But who was he and why is he so important to British history? From the point of view of a Parliamentary Soldier he was one of the greatest military leaders we have ever had. Without him, Parliament would not have won the Civil War. However, from the viewpoint of a Cavalier, he was seen as a traitor, as he ordered the King to be beheaded. A Puritan Gentlemen on the other hand would describe him as a Godly man who ruled this country justly. Such people believed he brought stability back after the war so that we could all live in tolerance and peace. 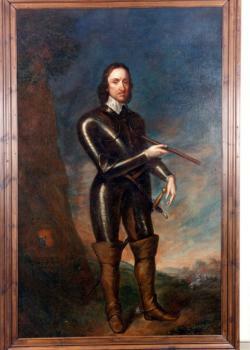 Oliver Cromwell was born in nearby Huntingdon on April 25th 1599. He was born into what had been one of the wealthiest families in Huntingdonshire but was of a junior branch and although he was a gentleman, he was not a rich one. His father died in 1617 and Oliver had to leave Sidney Sussex College at Cambridge to look after the estate, his widowed mother and then his wife Elizabeth and ultimately their nine children. Financially it was a struggle but Oliver’s fortunes changed when he was left leases on various properties in Ely by his uncle; this included the lease on the house in Ely, where Oliver moved to with his family in 1636 and remained for just over ten years. 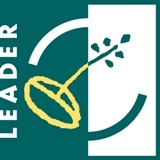 The lease carried with it the responsibility of collecting the local taxes. Everything changed for Oliver Cromwell when he was in his early 40s. King Charles I began to make changes to the church in England that were unacceptable to men like Oliver. During his 20s or 30s, Cromwell had experienced a religious conversion and for the remainder of his life he was a zealous Protestant. He believed that God had chosen him for a purpose which would at some point be revealed to him. The changes that the King started to make to the Church were against Cromwell’s beliefs and he was convinced that God’s purpose for him was to prevent them. He criticised the King in Parliament, his passionate and often angry speeches, driven by his religious zeal. When war broke out between King and Parliament in 1642, Oliver Cromwell was one of the first MPs to take up arms and fight. A Civil War broke out in England in August 1642. On one side stood King Charles I, and those who supported his rule. On the other, the men who had come to see him as a tyrant. Those who took arms against the king included some of the aristocracy as well as small landholders and businessmen from the richest parts of the country, London, the ports, and the cloth and clothing areas of East Anglia, Yorkshire, Lancashire and the southwest. Men like Oliver Cromwell. The conflict spread to Scotland, Ireland and Wales and lasted nearly nine years. Families and friends found themselves on opposite sides but were prepared to fight each other to the death. Religion also played a part in the collapse of the country into war. England had become a Protestant country under King Henry VIII but there were some, the Puritans, who thought that the reform of the church had not gone far enough. There was a great fear that England would become a Catholic country again and those that feared this most eventually fought against the king. In the summer of 1642, the relationship between the king and Parliament had broken down irretrievably, but war had not yet been declared. Both sides were trying to win support and raise troops but Oliver Cromwell was one of a very small minority who were prepared to take action. He left London and went straight to his constituency in Cambridge. There with a band of supporters, he prevented the Colleges of Cambridge from sending their hoard of silver up to York to help pay for the king’s army. 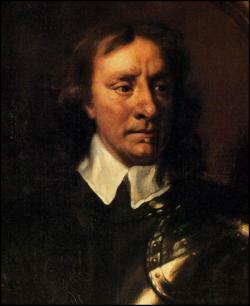 Cromwell also made sure that none of the weapons in the city left either. King Charles raised his standard on August 22nd, declaring war. Oliver Cromwell was made a captain and spent the autumn raising a troop of about sixty horsemen from the Ely area.. With these men he held Cambridge for Parliament and then in October they joined the main army of Parliament under the leadership of the Earl of Essex. In 1645 when a new national army, The New Model Army was created, Oliver Cromwell was made second in command. He went on to lead his army to victory and the forces of the king to a complete and unconditional defeat. In these few short years, Oliver Cromwell, rose from being a country gentleman and member of parliament with no military experience to being one of the greatest soldiers of his age. After Charles' execution, Parliament had tried to rule the county alone but many believed it was a disaster and wanted a king again, a system that had worked for hundreds of years. Cromwell was offered the crown and he turned it down, however, on December 16th 1657 he agreed to become Lord Protector and reigned as a "King in all but name". This is the first time since the Battle of Hastings and the coronation of William the Conquerer, that England had no monarch. Oliver Cromwell, as Lord Protector was a king in all but name. He lived at Whitehall Palace and Hampton Court Palace and was called Your Highness. Only twenty years before he had been a struggling farmer in this house and now he was Head of State. 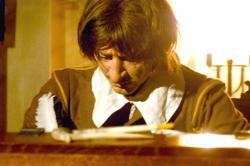 History has judged Cromwell and feelings are divided. 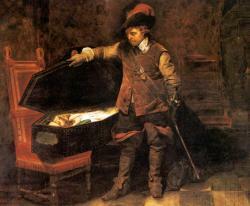 Oliver Cromwell died in the Palace of Whitehall in London on 3rd September 1658, just short of his 60th birthday. He died from a fever, which many now think was malaria, caught a decade before when he fought in Ireland. He was given a royal funeral and buried in the Chapel of Kings in Westminster Abbey in London. But two years later, when Charles II was restored to the throne, he sought revenge for his father’s execution. The men who had signed Charles I’s death warrant were hunted down and executed. 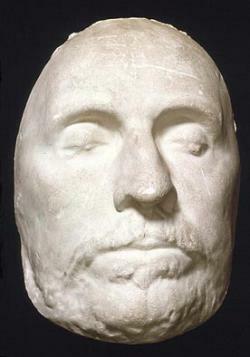 Cromwell, although already dead, did not escape. His corpse was dug up and then hanged and beheaded. His body was thrown into a pit and his head stuck on a pike for all to see. It is not certain what happened to the head but it is said that one night during a storm it was blown down and picked up by a soldier and later was passed into many different hands. In 1960, a skull, said to be that of Oliver Cromwell was given to his old Cambridge College, Sydney Sussex, where it was buried in secret. Hinchingbrooke House, Huntingdon - The Ancestral seat of the Cromwell family, the last Cromwell to own it being Oliver's Uncle, Oliver. Sidney Sussex College, Cambridge - The College in Cambridge that Oliver Cromwell attended and where his head is buried.